Fresh off of the acclaimed “Pilgrim Hill,” director Gerard Barrett is now at Sundance to showcase his emotionally-rigorous exploration of family, addiction and crisis. 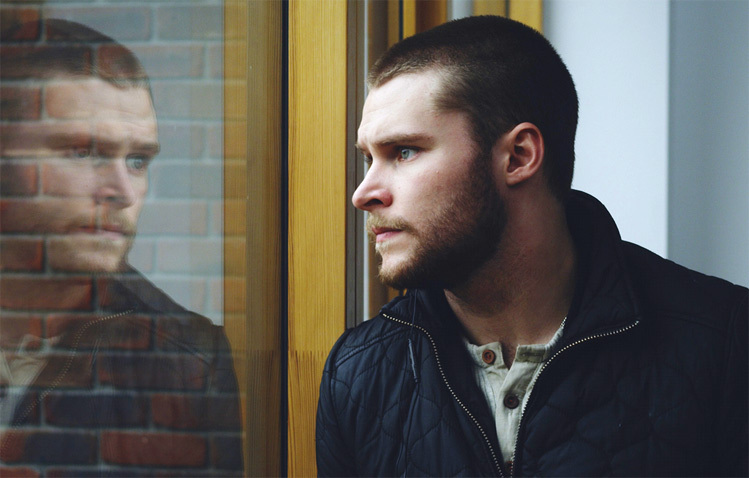 “Glassland” stars Jack Reynor (“Transformers: Age of Extinction”) as the support system of a struggling family, in which his mother, Jean (Toni Collette), is struggling with alcoholism. This penetrating film, which has garnered attention for the hard-hitting performances from Raynor and Collette, may lead to bigger things for the promising Irish filmmaker. “Glassland” tells the story of a young taxi driver who is desperately trying to keep his family together in crisis. The film is about a disjointed family in crisis, and is told through the viewpoint of the middle child, John (played by Jack Reynor). He is the firefighter of the family, constantly putting out fires and keeping them together. His mother is battling with her own issues, and he has to make some tough, moral decision to save her and reunite his family. I am a 26 year old, farmer’s son from rural Southern Ireland. All my brothers are at least ten years older than me, so I grew up on a diet of films in the early 90’s that I probably should not have been watching at such a young age, for example “Reservoir Dogs,” “The Shawshank Redemption,” “Silence of the Lambs,” “Pulp Fiction,” “Goodfellas,” etc. Ultimately, I then fell in love with films and storytelling. So from very early on, filmmaking was all I wanted to do and was my focus. I’m very lucky to do what I love. I don’t take it for granted. To be honest, it was a beautiful experience. It all came together very organically and quickly. We were able to secure the actors I wanted to tell the story – they gave me what I wanted and so much more. Everything worked out as planned. More than anything, I want audiences, especially young adults my age, to appreciate what they have. Especially if they are lucky enough to have parents who are supportive and are always present in their lives. After moving to the city, I met new friends, and what struck me was many of them came from broken homes. Months would go by and they would not speak to their parents or even visit home, whereas I speak to my parents at least once a day. I come from the opposite household. So I think more than anything, “Glassland” is a “thank you” to my parents, because they have been so good to me and have always been there for me. If you can say the same about your parents, then we are very lucky and should appreciate them more. Are there films that inspired you? So many films inspire me – anything from “Lawrence of Arabia” to a cinematic marvel like “Gravity.” Any film that affects me and gets under my skin, inspires me. More than anything, films that Ford, Hitchcock and Lean made inspire me. The skills they showed back then to bring stories to life on the screen was just breathtaking. I really do believe we take that generation of filmmakers for granted on a technical level, and what they achieved with essentially just a camera, some lights and incredible craftsmanship. We complain today because our computers are not fast enough for editing etc. I just recently finished adapting a New York Times bestselling novel, which I can’t say yet, but will be soon revealed. I’m incredibly excited about it and so excited to make my first film this side of the pond. We shot on RED Epic. Beautiful camera and very easy workflow. Worked a treat for this project. We didn’t have to crowdfund as I was lucky enough the financing came together very easily with the help of our producing team.